February is known as the month of love as so much goes on in this short month. Valentine’s day, three day weekends, Mardi Gras, Groundhog Day just to name a few. It’s also a time that locals and guests fall in love with Crescent beach all over again and a few of them fall in love while visiting Crescent Beach. Many locals as well as out of town guests choose Beacher’s Lodge as a destination to “pop the question” for many reasons. Imagine this: you decide you need to either getaway for the weekend, take advantage of a three day weekend (President’s Day) or an impromptu break in the middle of the week for that much needed beach time. Now of course you made your reservations at Beacher’s Lodge as it is located right on the beach with breathtaking views of the ocean. Next, you either plan a quiet dinner for two on the balcony of your condo. Our condos provide fully equipped kitchens so you can make that perfect romantic dinner for two. Or you decide to have a dinner at one of the beach’s favorite restaurants. I personally love South Beach Grille which is right next door to Beachers Lodge. You can walk over from Beacher’s Lodge and enjoy some great local cuisine. After your bellies are full and you’ve enjoyed watching the sunset, take a night stroll along the beach. Listen to the waves crash upon Crescent Beach’s soft sandy shore. If you listen careful enough you might hear a dolphin or two playing in the moonlight. It’s the perfect romantic setting for that perfectly planned proposal. Now for your big moment! As your future partner for life stares out over the ocean watching the moonlight dance upon its surface, and is completely in awe of their surroundings, you drop to one knee and call their name. They turn to you as the waves begin to sing in perfect harmony and you without a moment’s hesitation ask them to be yours for the rest of your lives. This may sound like a fairy tale to you, but for those of us that are fortunate enough to enjoy Beacher’s Lodge day in and day out, we see it all the time. The excitement and nervousness that are present on the proposer’s face as well as mannerisms is a site to be seen. But what truly makes it memorable for us, and our guests is the pure rush of emotions of the couple sharing their memory as they tell us they said “yes”! If you plan on visiting us in February and are looking to pop the question to your special someone, let us know and we’ll do our best to help you create that special memory. 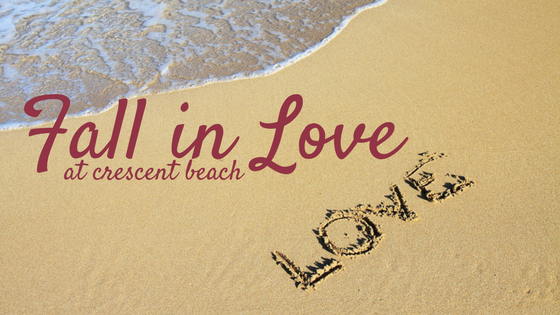 Come fall in love with the beach and each other at your favorite beach destination.